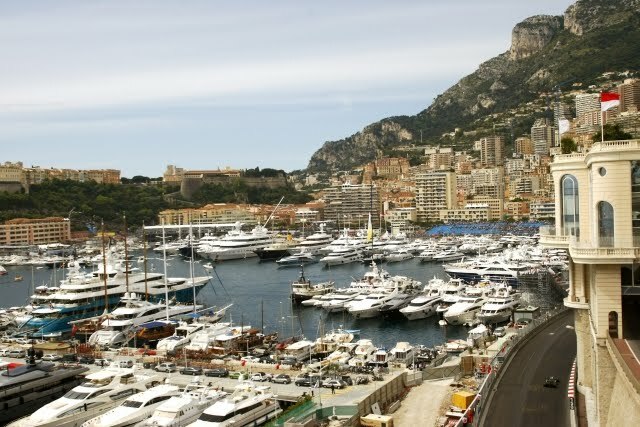 Amidst the luxury yachts and lavish accommodations of this principality for the social elite, one of the most prestigious events on the 2010 Formula 1 schedule. 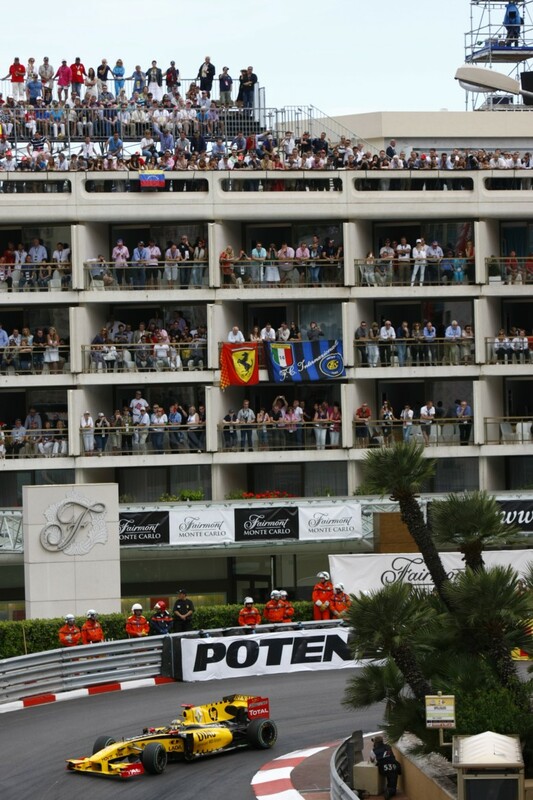 Occurring May of each year, the Monaco Grand Prix has been a staple on the modern Formula 1 since 1955. 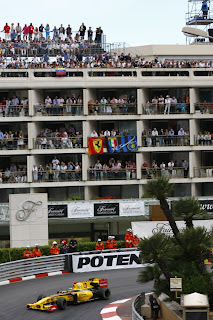 Competing on the 2.075 mile race course fixated in the streets of Monte Carlo, the race is the 6th round in the 2010 tour. With Red Bull Racing's Mark Webber snatching his second straight Formula 1 pole, the 2010 Monaco Grand Prix started on a wonderful Sunday afternoon. On the start, Webber got a clean start retaining the lead into the first turn Sainte Devote corner. Robert Kubica, having split the Red Bull-Renaults of Mark Webber and Sebastian Vettel with magnificent 2nd place qualifying performance in his factory Renault, immediately faced opposition from Vettel. Timing the lights perfectly, Sebastian Vettel launched his Red Bull Racing past Kubica within the first few hundred meters of the race. Taking second, Sebastian Vettel spend the event following the charge his teammate Webber was leading for the Formula 1 cars. As the field set off, the Williams-Cosworth of Nico Hulkenberg suffered a bizarre front wing component failure running through the tunnel. Bringing out the safety car early, this was only the first of four times the field would be slowed. The McLaren F1 team had been enduring a rather plain weekend at Monaco as the team's record 15 previous wins in the Grand Prix have done little to overcome the hot Red Bull Racing squad. McLaren-Mercedes driver and 2009 F1 world driving champion Jenson Button experienced an early retirement from the 2010 Monaco Grand Prix. Classified as an engine failure, it was later discovered that a piece rogue race equipment was left under the engine cover of the McLaren-Mercedes. Button's plans to defend last year's victory on the streets of Monaco ended in just 2 laps. As the race progressed, McLaren surviving car in the hands of Lewis Hamilton was able to endure the race but would only muscle a 5th place finish for the day. With the Mercedes-Benz engines unable to catch the Renaults on the street course, Ferrari also fell short of matching performance wits of the powerplants supplied by the French auto company. However, the Ferrari F2010 managed to secure an honourable finish in the hands of Felipe Massa and Fernando Alonso. 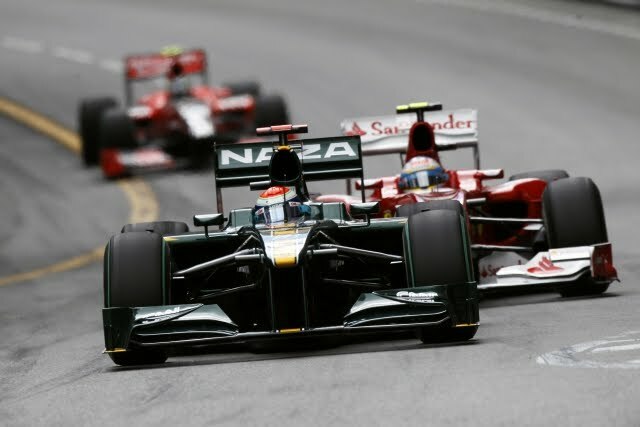 Massa would lead the Italian team in the Monaco Grand Prix firmly holding onto the 4th position. The Brazilian took the Ferrari F2010 home in 4th place for his best finish since the Australian Grand Prix more than a month and a half ago. Starting in the back due to missing qualifying, Fernando Alonso left the pit lane filing into the back of the grid once the field took off. Carefully maneuvering his Ferrari past the slower Formula 1 contenders, Alonso would eventually move into the top-10 points scoring positions. On lap 30, the second Williams-Cosworth suffered a surprise rear end mechanical problem as the issue sent Rubens Barrichello's car spinning in Massenet. The FIA dispatched a safety car for a second dramatic exit of a WilliamsF1 car at Monaco. With both incidents the result of mechanical problems not the result of the drivers, team engineers will have two weeks until the Turkish Grand Prix to account for two unrelated issues. With 4 laps remaining, the scurrying for positions led the Lotus-Cosworth of Jarno Trulli into the back of Kudan Chandhok's HRT-Cosworth. In the two-car tangle, Trulli's Lotus flipped on top of Chandhok but fortunately resulted with no injures to either driver. Bringing out the final safety car, the Formula 1 field was given a last-lap run. With no changes in the top-3, Mark Webber took his Red Bull-Renault to a second straight win for 2010 with teammate Sebastian Vettel following closely in tow. Completing a 1-2-3 finish for Renault-engined vehicles, Robert Kubica came 3rd for his 2nd podium of the season. While the podium was locked in through much of the Monaco Grand Prix, a desperate fight deeper in the pack saw Michael Schumacher dice with Fernando Alonso for 6th place. As the safety car steered into the pits on the final lap, Schumacher's Mercedes shot past Alonso's Ferrari for the position. After the pass however, the FIA ruled that his pass occurred under the safety car period. Ultimately punishing Michael Schumacher with a 20-second time penalty dropping the 7-time world driving champion down to 12th in the final running order. Final point standings following the Monaco Grand Prix witnesses Red Bull Racing drivers Mark Webber and Sebastian Vettel sharing the points lead with 78 points. Rallying to 6th place after starting last, Fernando Alonso earned enough points to sit only 3 points behind the Red Bull duo. Next race for the Formula 1 schedule is the Turkish Grand Prix on May 30th.